We just deployed two multicast services in our network. The multicast source of both groups is in BB2. In the first multicast group, users are behind interface FE0/0 of R5 and they explicitly joined group 239.0.0.5. We could successfully ping this group 239.0.0.5 from R4 as expected. 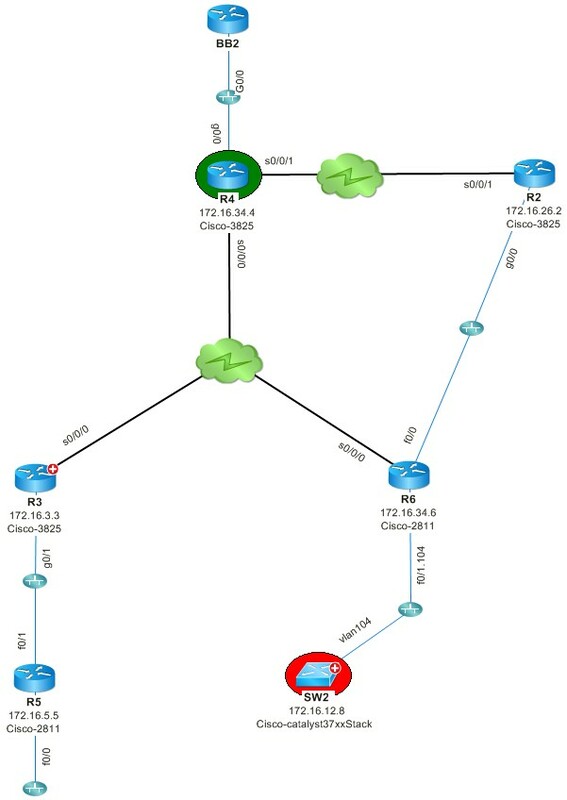 However, users in VLAN 104, which is behind SW2, are not so lucky. Users in VLAN 104 have already joined group 239.0.0.100. We should be able to ping this group 239.0.0.100 from R4 however we aren’t able to. By the way, interface G0/0 of R4 is the RP of group 239.0.0.100.